The Post Honeycomb is celebrating their 50th birthday this year! Can you believe this family favorite cereal has been around that long? 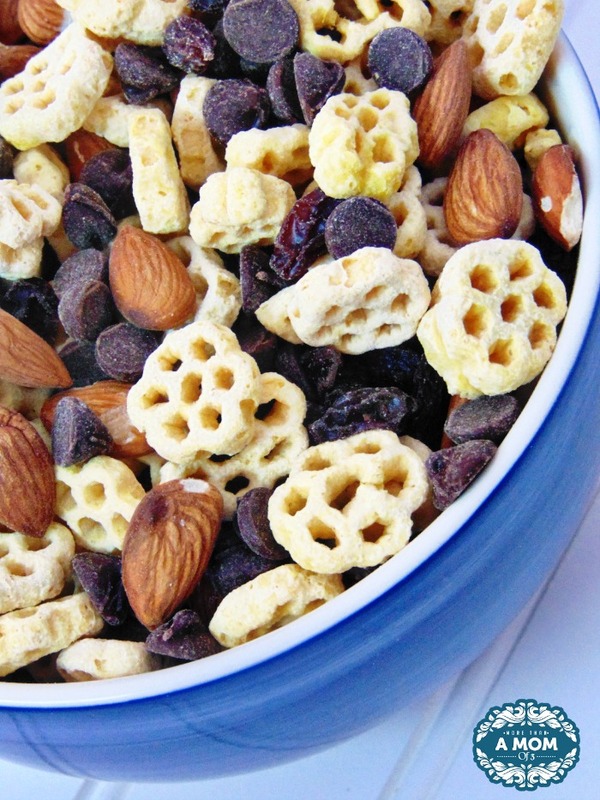 Since 1965, Honeycomb has been a one of a kind classic breakfast cereal. There is nothing better than that sweet honey taste and the original shape always brings me back to my childhood. I love a food that brings me back in time. 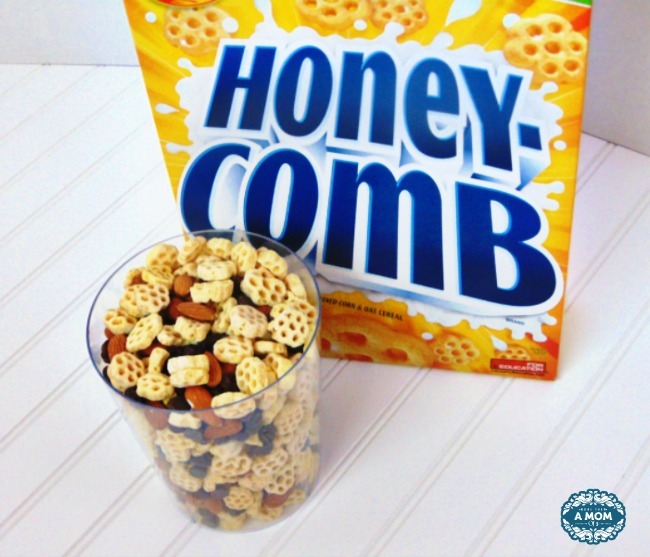 Honeycomb cereal has always been a favorite with my kiddos too. 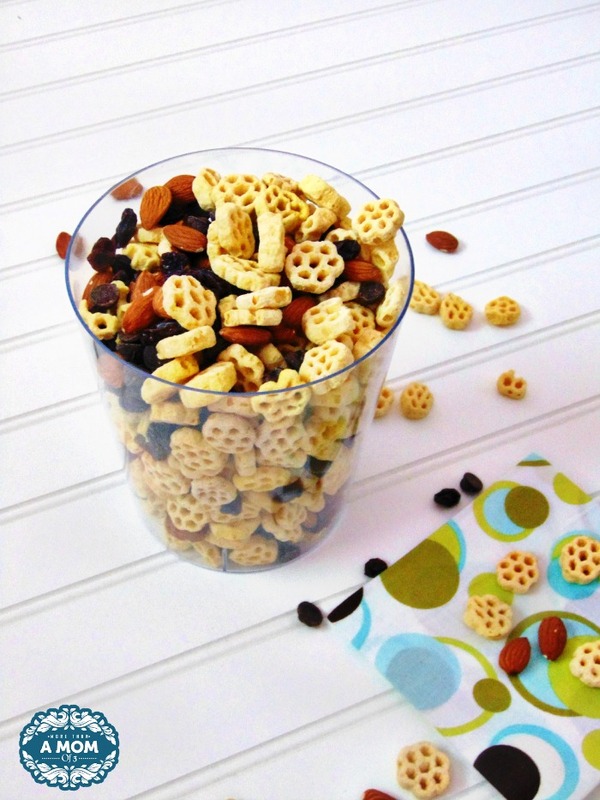 I love cereals that you can transform into a recipe or just eat as a snack. Who says breakfast cereals just have to be for breakfast? To celebrate their 50th birthday I have a fun party recipe to share with you today. 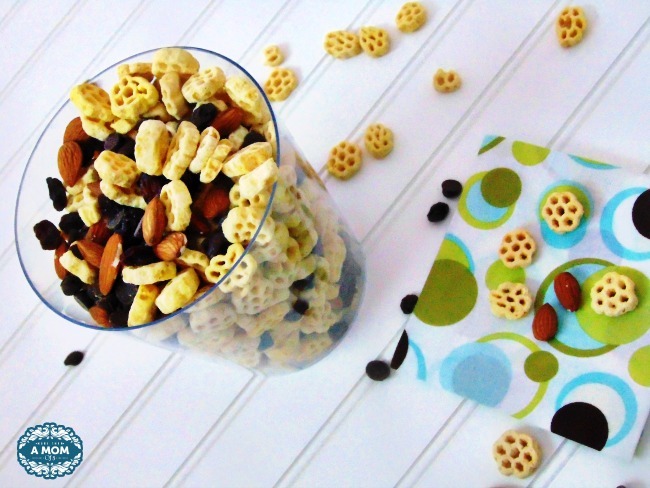 This Honeycomb Party Mix can be switched up a few ways depending on your taste. 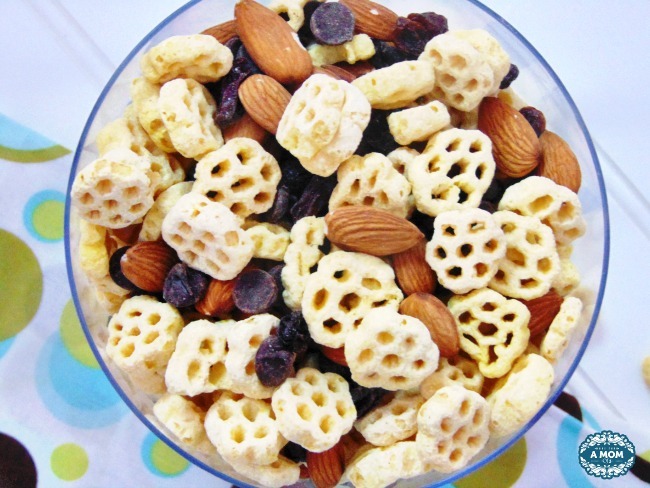 This is a more sweeter party mix adding a small salty flavor with the addition of almonds but any nut will work with this Honeycomb Party Mix recipe. You can make this in no time. I threw together a batch one morning and my kids literally devoured it within a couple of days. It has now has become a new favorite in our house that I was told by JJ that this snack is his favorite snack I ever made. Party mixes are so simple to make and a great way to get your little helpers in the kitchen. This Honeycomb Party Mix is one they could do all by themselves. 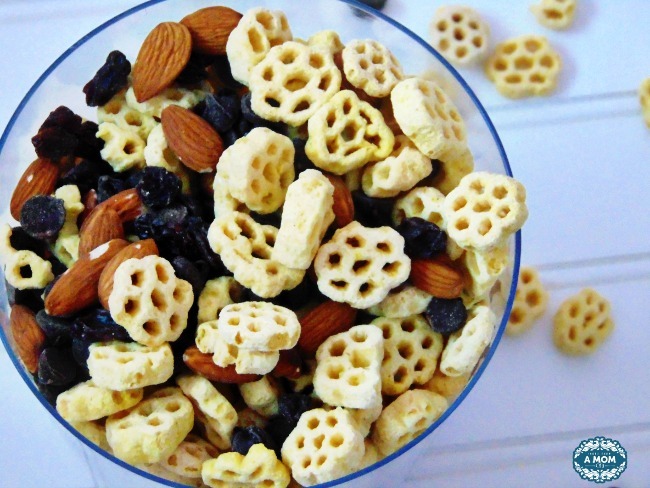 [yumprint-recipe id=’23’]You can find other delicious recipes such as Monkey Munch or Morning Cereal Muffins using Honeycomb from their website.